After a successful touch down, NASA’s InSight spacecraft has sent back its first capture from the surface of Mars. The landing occurred at 2.54pm EST today, with a play-by-play of the landing being send back to Earth by two small partner spacecraft that stayed in space, called Marco-A and B. 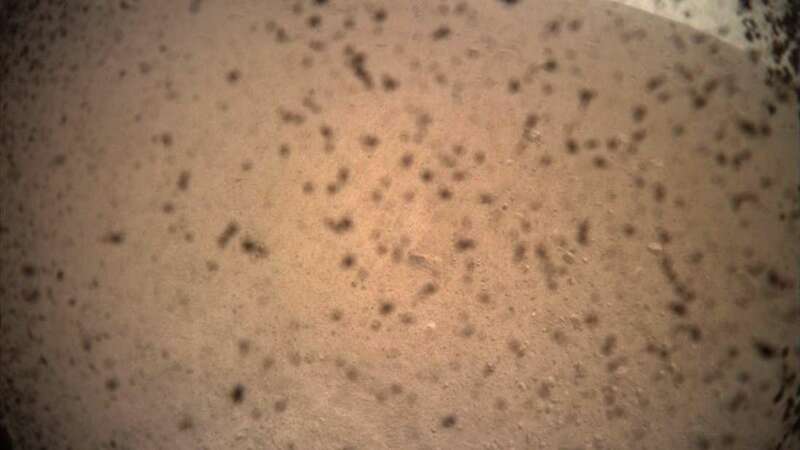 And within minutes of the landing, InSight sent its first image back to Earth via those two mini-satellites. The phots contains area of Mars called Elysium Planitia, where InSight landed to begin a mesmerizing mission to study the interior of Mars. While the photo doesn't really disclose much but we can still see the horizon of Mars in the distance. InSight landed in mid-afternoon local time on Mars. In the image we can also see how flat the area is, which is exactly what NASA had planned for to make the landing as easy as possible. The image is partly masked by a dust cover, with fragments having been kicked up during the rocket-powered landing. The lander will eliminate this dust cover soon, letting clearer images to be taken of the surface. The Mars mission is set to last until at least November 2020, and by then we might have a slightly stronger understanding of how rocket planets like Mars evolved. But for now, there's plenty of reason for celebration at NASA, as the agency rejoices their eighth successful Mars landing.